As the spring semester draws to a close, it’s as good a time as any to look back on the new music 2018 has already produced. After a somewhat slow start to the year, the release calendar has recently picked up in sweeping fashion, with three of the top five albums on this list having dropped in the month of April alone. Here is a list of 2018’s top hip-hop and R&B albums thus far. Chris Dave makes a formidable entrance into the spotlight on his debut album, weaving between fast-paced funk and slow, soulful R&B with ease. The talented drummer has more than proved his abilities on collaborations with high-profile artists during his long, decorated career, and on songs like “Spread Her Wings” and “Dat Feelin’,” he shows that he’s just as capable when it’s his name on the cover. The Anderson .Paak-assisted “Black Hole” is a tremendous starting point if you’re looking to introduce yourself to his music, but the entire album makes for an engaging listen-through as well. Sango has made a name for himself as a one-of-a-kind producer, and his new album In the Comfort Of sees him further developing his sound on his most fully formed project to date. Photo courtesy of Last Gang Records. 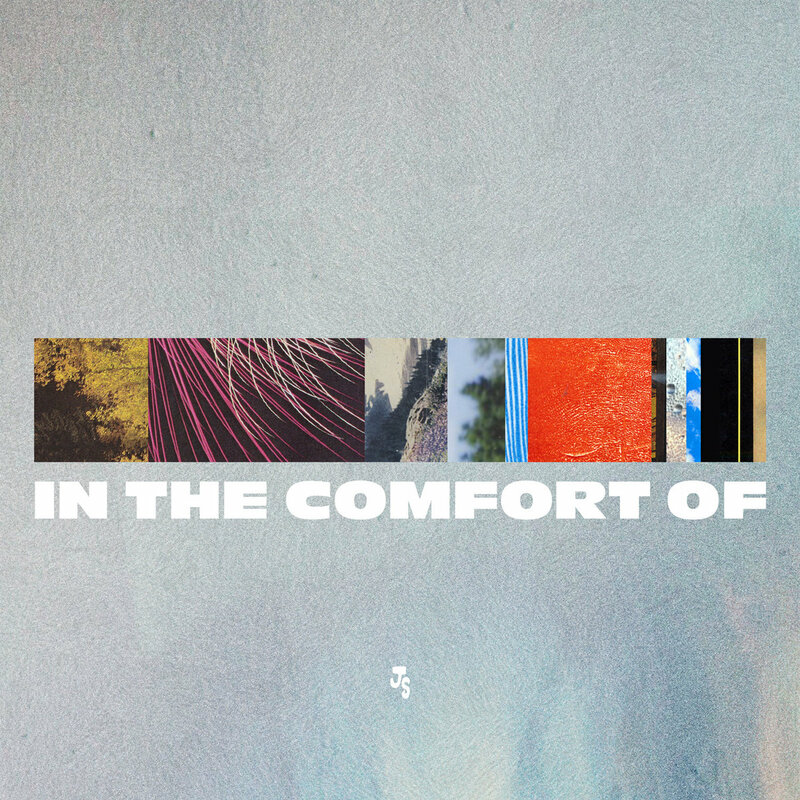 Sango’s latest album In the Comfort Of is his most complete project to date, themed around the process of finding overcoming times of turmoil and finding one’s comfort. A laundry list of features find themselves at home above Sango’s intricate production; Smino’s brilliant wordplay on “Khlorine” deserves special commendation, while Dave B, Jean Deaux and JMSN shine elsewhere when called upon. A refreshing journey through exciting, energetic highs and introspective, heartfelt lows, the project further establishes Sango as a top-of-the-line producer, who shines alongside vocalists as well as on his own instrumentals. Edgewood is further evidence of the possible benefits of working exclusively with a single producer for an entire project, and there are few producers who are more qualified for that distinction than Mike-WiLL Made-It. He and Trouble together form a menacing combination comparable to the magic made by 21 Savage and Metro Boomin on Savage Mode, although Edgewood invites many more signature sounds to the table in the form of names like Drake, Quavo and The Weeknd. While each of those collaborations more than holds their weight, the unassisted “Knock It Down” is the true standout of the project, as Trouble settles into an effortless, rhythmic flow over Mike-WiLL’s booming production. A soulful blend of earthy, thoughtful bars and a melodic soundscape, Phonte’s latest album No News is Good News is 33 minutes of wisdom from a veteran in the game, touching on themes of love and aging. Phonte speaks on health-related worries that have taken a toll on his mind, withholding nothing from his audience to allow them to glean as much as possible from the performance. An album to be studied rather than glossed over, there’s likely at least one message on No News is Good News that you need to hear. In 11 songs, SiR makes his official TDE introduction, and finds few missteps in the process. The smooth sounds of “Something Foreign” and “D’Evils” are perfect for a sunny Saturday afternoon, while harder-hitting percussion on cuts such as “I Know” create impressive variety on the project. SiR’s vocals shine throughout November, showcasing him as an excellent crooner with a promising career ahead of him. At long last, Cardi B’s debut album has arrived, and on it, she proves why she’s been the hottest name in hip-hop for much of the past year. Cardi B is humorous, genuine and versatile on Invasion of Privacy, while keeping the confident, authoritative essence that has endeared her to fans. Each of the impressive features such as Chance the Rapper, SZA and Kehlani deliver as well, while Cardi B stays in the spotlight throughout by making the most of every verse. NoMBe’s addition to this list is questionable since he released over half the songs on the tracklist as a single in 2017, but the project’s cohesiveness despite it’s disjointed release certainly deserves praise. They Might Have Even Loved Me is an ambitious ode to the women in NoMBe’s life, right from the very first song “Man Up:” “This world was never meant for us/It’s for the girls and children first, and then men.” A wild, adventurous spirit permeates the album with an infectious energy on songs like “Signs” and “Freak Like Me,” while slower cuts such as the acoustic “Rocky Horror” embody a night around the campfire after the day’s excursions have turned to memories. Saba’s always been an introspective rapper, but CARE FOR ME is more than that, as Saba slows the tempo and dampens the mood for pensive bars that leave you thinking long after the moment has passed. Look to the seven-minute-plus “PROM/KING” to find the pulse of the album neatly wrapped into one song, as Saba narrates the story of John Walt, close friend and fellow labelmate who was stabbed to death in Chicago. “Ridin Round” first highlighted Kali Uchis as a burgeoning star in 2015, and three years later, Isolation is proof that her star is now fully formed. Delicate and soothing while still retaining a constant, irresistible groove, songs such as “Just a Stranger” and “Tyrant” are just as infectious even on repeated listen, while “Tomorrow,” produced by Kevin Parker of Tame Impala, creates a psychedelic soundscape that shifts the direction of the album gracefully. The best movie of the year is also the best album of the year thus far, with a sprawling sound that matches the massive scale of Wakanda itself. Kendrick Lamar excels in his first attempt in the role of executive producer, curating a magnificent body of music that finds cohesion in its diversity. With few sonic threads to link the album together, the dominant theme throughout is that of pride; manifesting itself in the commanding lyrics, passionate singing and fierce production. Hollywood needs to pay attention to what Black Panther was able to accomplish: It’s one thing to craft a fantastic movie, but crossing media to create an equally heralded accompaniment is not only possible, but also encouraged in 2018.